Welcome to TRON vs Avatar! 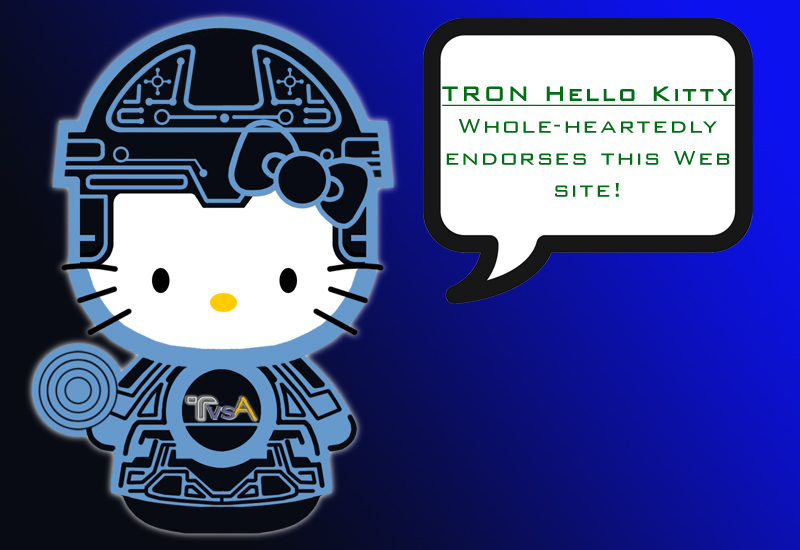 Are you a true TRON fan? Do you think it's better than Avatar? We think so. So we created this web site to encourage TRON fans to mobilize, and help make TRON Legacy the most successful movie of all time! We want to encourage TRON fans everywhere to watch TRON Legacy more times than they saw Avatar. So if you saw Avatar once, see TRON Legacy twice. If you saw Avatar four times, see TRON five times. Even if we don't succeed, don't you want bragging rights with your friends over who saw it the most? Register with us to keep track of how many times you've seen TRON Legacy. Find friends in your community who may want to see it again. Update your social networks with your Geek cred! Are you affiliated with Disney? Like "Whereever you go, there you are!" How many times did you see the original TRON? How many times did you see Avatar? How many times will you see TRON: Legacy?